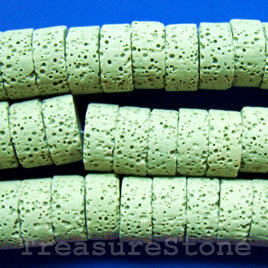 Bead, green Lava (dyed), 7x16mm heishi. 26pcs. 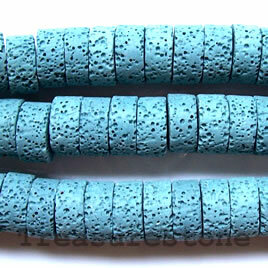 Bead, blue Lava (dyed), 7x16mm heishi. 26pcs. 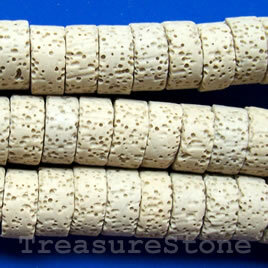 Bead, cream Lava (dyed), 7x16mm heishi. 26pcs. 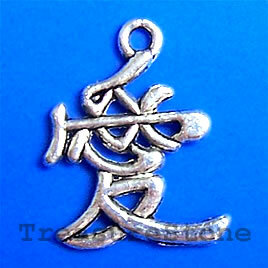 Pendant/charm, 20x18mm chinese "LOVE". Pkg of 8.